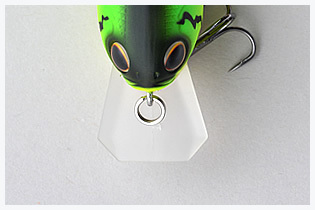 Bullet Head is a crank bait for shallow water dives up to 3ft. 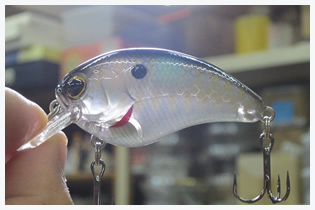 I made this crank bait to be a long lasting, strong action with very high floating response. 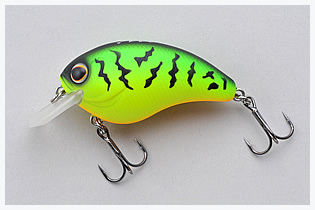 Bullet Head is a “None rattle” lure considering today’s hight pressure bass fishing situation. “Stabilized Weight System” gives strong action. I’ve also applied a coffin lip, so you can be aggressive using this lure on riprap. As I mentioned, it has a very high floating response and it will help you to use it in a heavy cover situation. 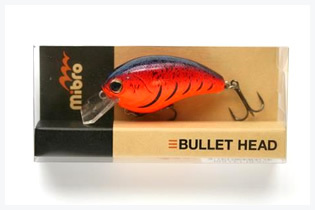 Bullet Head will swim very well in all speed. With a slow retrieve, it’ll swim about a foot in depth. With a medium retrieve, it’ll swim about 2 ~ 3 ft. With a fast retrieve, it’ll have some erratic action helps you get a reaction bite. The “go to” shallow crank bait!